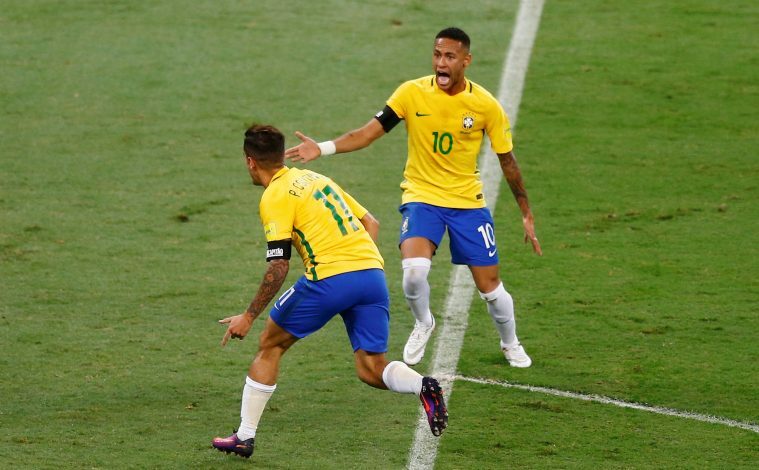 Brazilian superstars Neymar Jr. and Philippe Coutinho could’ve been seen at Chelsea, according to Brendan Rodgers, who claims the club was in pursuit of the pair. Before the talented duo was rated at three digit price tags in millions, they were on the Londoners’ look-out list, according to the Celtic boss. Both Coutinho and Neymar were top recruit candidates of Rodgers’ during his spell as Chelsea’s youth coach back in the late 2000s. However, both players ended up at different clubs, leaving Blues’ fans contemplating what could’ve been a stunning frontline, especially with Nicolas Anelka and Didier Drogba leading the attack back then. And now, Neymar has secured a world record transfer to French giants Paris Saint-Germain, whereas Jurgen Klopp’s resolve has proven to be too strong for Barcelona, who tried to lure Coutinho to the Nou Camp. The former Liverpool boss’ side welcome PSG at Celtic Park on Tuesday to kick off their UEFA Champions League group stage clashes. Though the Irishman missed out on signing the former Barca man during his days at Stamford Bridge, he now has the opportunity to go up against his new side and show his Invincibles’ worth.